Desiring to redefine what is possible in life, Spencer West poses near Mount Kilimanjaro. He planned to use his arms and hands to climb the mountain, Africa's highest point. Image online via Free the Children. Click on the picture for a much-better view. As an adult, Spencer traveled to Africa, where he helped to build a school. Then he became interested in sustainable clean-water to help African children. Not long after his visit to Africa, a closed friend asked Spencer a question. Did he think he could climb to the top of Africa’s highest point, the summit of Mount Kilimanjaro? Spencer was intrigued. What if he attempted such a climb to raise money for clean-water? A challenge, which he called “Redefine Possible,” could match a very difficult climb with a fund-raising goal of $750,000. Spencer trained for months. He could not make this trip to the top of Kilimanjaro alone, however. He could climb most—but not all—of the way by walking on his hands. He needed help for the rest of it. Beyond having his two closest friends by his side, Spencer would need a special wheelchair to handle the difficult terrain. It would take a team of people to support him and the project. Getting to the top of that mountain would be a major accomplishment, for Spencer, but it wouldn’t be his first overwhelming challenge. He’d already overcome many obstacles. One of the toughest was making it through his school years (which he did with the help of his parents). It wasn’t easy for Spencer when people bullied him. It wasn’t easy for a boy without legs to be in gym class and never be chosen to participate in sports. But ... Spencer could do amazing handstands and back-extension rolls. Why not use those skills to try-out for his highschool’s cheerleading squad? One might think that was a crazy idea. 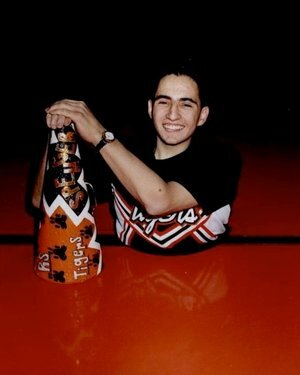 How could someone born with a rare genetic disorder, preventing his legs and lower spine from fusing properly, believe that he could be a cheerleader? Because ... he actually could be a cheerleader. And ... Spencer West was there, cheering-on the Rock Springs (Wyoming) team when his school won the state championship. It was another example of what his parents had always told him: He could do anything if he put his mind to it. But could he physically manage to summit Mount Kilimanjaro? Desire is one thing; reality is another. The short answer is “yes,” and Spencer tells us why he thought it was possible for him. This is going to be the hardest thing I've done in my entire life. I'm going to need my two best friends to come with me. ...to number one ... climb the largest mountain in Africa to prove to the world that if I was told that I would never walk or be a functioning member of society and can climb the largest mountain in Africa, what more can we all do as individuals to start redefining our own possible? 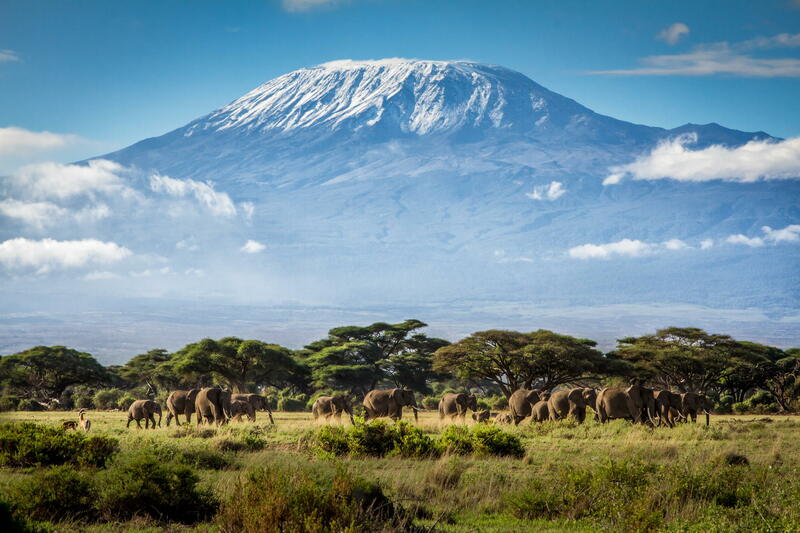 Spencer West traveled to Tanzania to climb Kilimanjaro, the permanently snow-capped African mountain. Bos, Carole "Spencer West Redefines Possible" AwesomeStories.com. Feb 02, 2016. Apr 20, 2019.